A student helps Ed Hawkins measure Katelyn McCarthy's elbow and partial forearm, while another student takes notes on a diagram. Ed Hawkins interviews Katelyn and Amy McCarthy about Katelyn's activities and how she adjusts to life with one hand. Leif Johnson measures Liam Hilliker's hand. 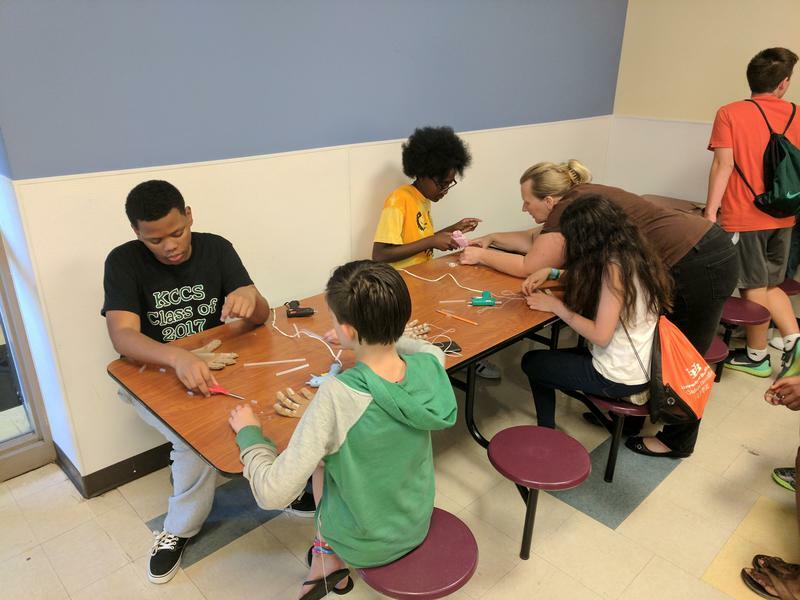 Students work on building more rudimentary models of prosthetic hands using cardboard, plastic parts, string and hot glue guns. A tabletop 3-D printer fabricates name tags for the students and teachers of the "Hand in Hand" program. 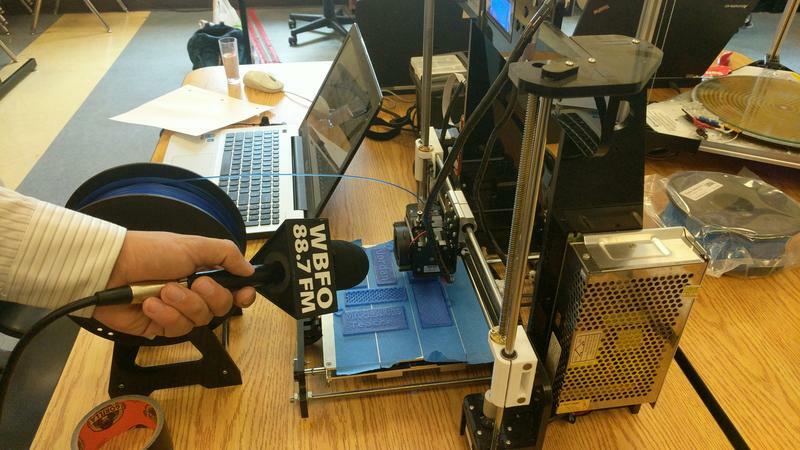 A new summer STEM program is giving high school students from across Western New York the opportunity to help kids in need through 3D printing and design. On Thursday, the lunchroom at Health Sciences Charter School in Buffalo bustled with the sounds of 45 excited high school students. They had all been brought together for a new summer program focused on STEM education. 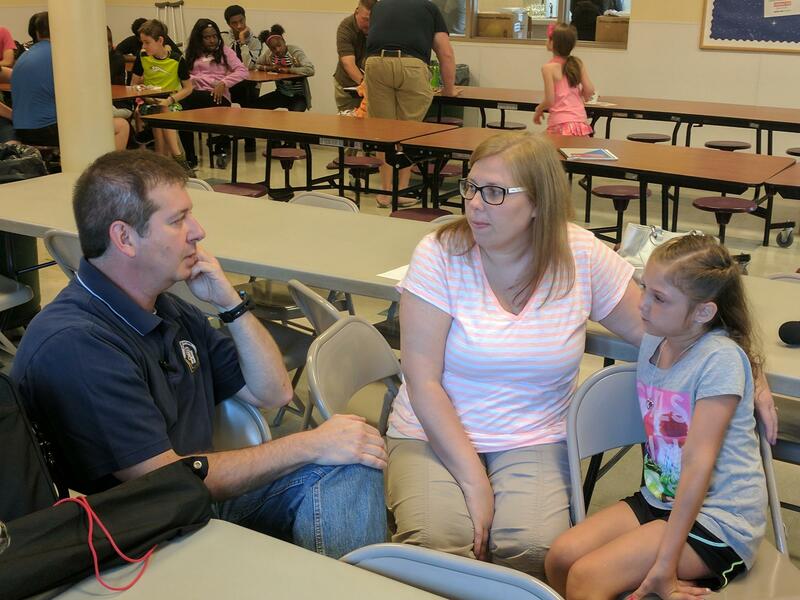 As the morning began, three young children took seats among the students, and teachers began to interview them. Technology Education Teacher Ed Hawkins inspects Katelyn McCarthy's arm. “What do you like to do?” asked technology education teacher Ed Hawkins. 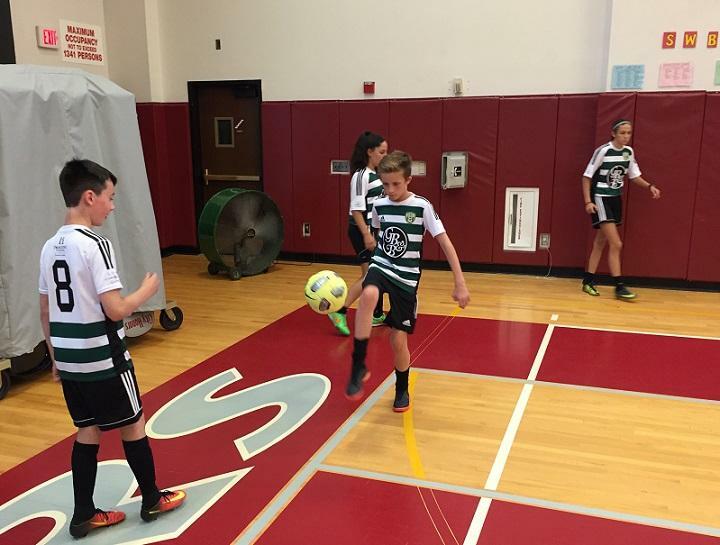 “I like to play,” replied an initially shy Katelyn McCarthy from Derby. Like the other two children interviewed, Katelyn was born with one partial forearm and no hand. Her mother, Amy, described the nine year old as outgoing once she opens up, and said the things Katelyn has been able to do with one hand have not been “challenges,” just thing that take a little longer to learn. 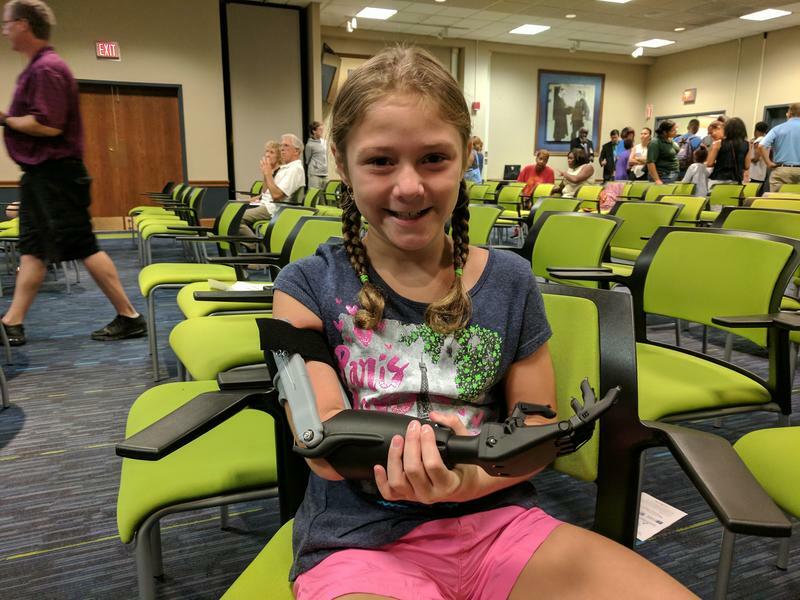 Katelyn has had prosthetics since she was an infant – some of which have been heavy or difficult to use. But come August, she’ll get a new light-weight prosthetic limb – 3D-printed, and designed by the students of the Hand in Hand program. “In this program, kids are going to learn anatomy. They’re going to learn about an achievable biomedical career. They’re going to learn about opportunities that are right here in Western New York and they’re going to create something that’s going to help somebody, and somebody right in their neighborhood,” explained Cherie Messore, executive director of Western New York STEM. WNY STEM is Hand in Hand’s leading organizer. Collaborating with AT&T, the University at Buffalo, Roswell Park Cancer Institute, and local schools, they put the call out for teachers and students interested in taking part in the program. Educator Pat Kesterson reviews a diagram that will be used to record measurements of the children's limbs. Ed Hawkins was one of them, and he ended up taking the lead educator role in Hand in Hand. 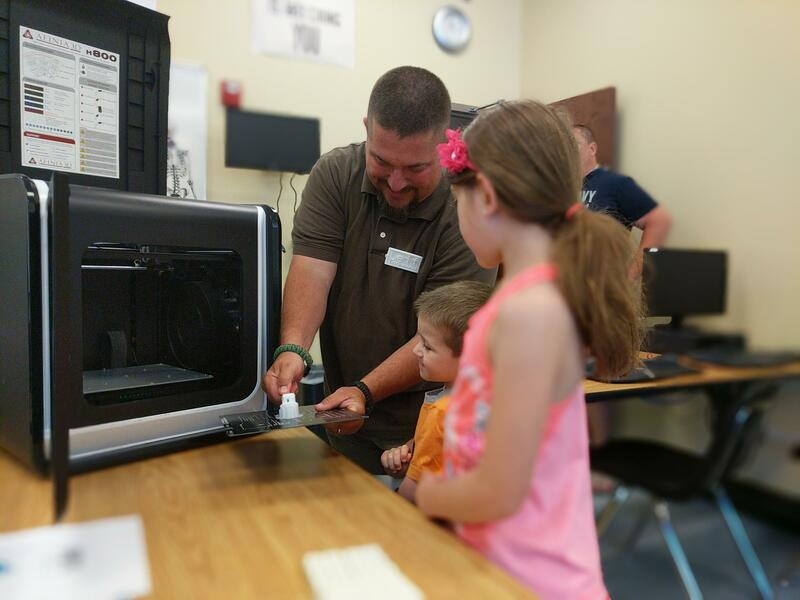 Hawkins has a strong background in 3D printing, having done it for years with his own students at Sweet Home Senior High School. 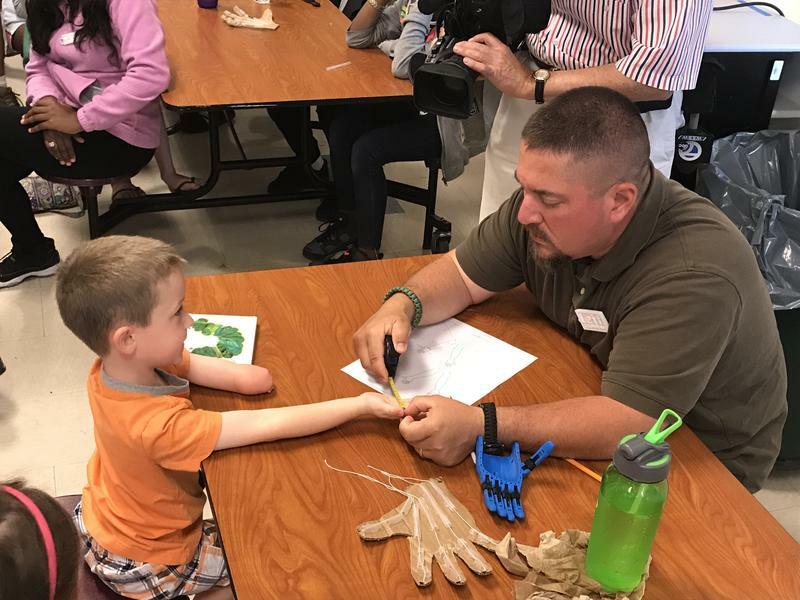 And while he doesn’t have training in occupational therapy or medicine, Hawkins said getting to know the workings of the body so that he can teach students about it is all in looking at it from a technical perspective. Hawkins also isn’t the only one teaching. 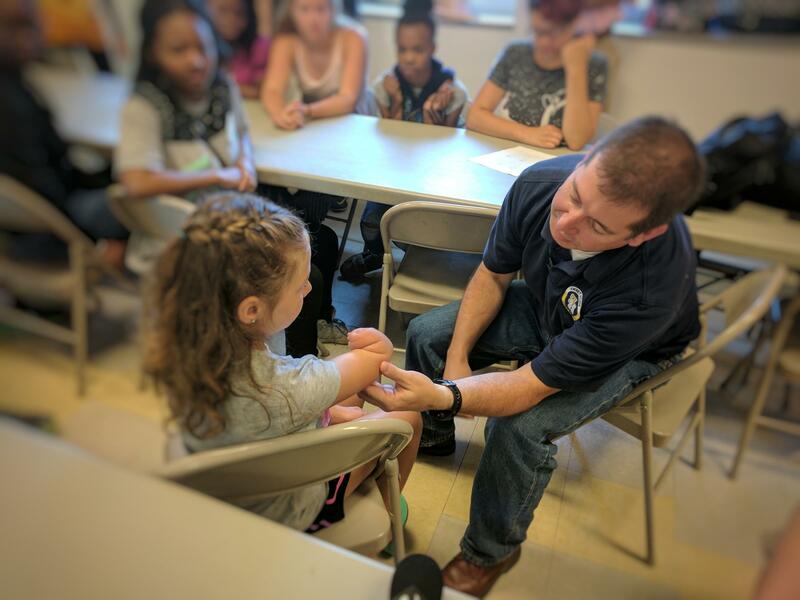 Before they met Katelyn and the other recipients, the students met two occupational therapists who explained the realities of life with one hand. One of them even shared his personal experience as an amputee. From that training, students like future 11th grader Felice Masumbuko learned what’s important. “You need to know math and science, like the geometry. You have to know the biometrics of your hands, eyes, all of that. Biometrics is examples like iris scans, retina scans, how the vessels are formed in your hand. You need to know all of that because even a slight mistake can mess up the whole product,” said Masumbuko. After measurements of Katelyn and the other recipients’ limbs are taken, it’s time for the students to focus on the first steps in planning. While that happens, the children get a chance to visit a room down the hall filled with computers and 3D printers – one of them cooling from a recent project, while another hums, slowly and carefully printing keepsake nametags for the students. The hands can be designed with various colors and customization like superhero and princess designs. Katelyn can’t be certain yet what color will be available, but she’s got something in mind. “I really want it to be blue and pink,” she said. Amy expects the new hand will help expand her daughter’s capability, and she appreciates what the Hand in Hand program offers both Katelyn and the students. Instructor Leif Johnson shows four and a half year old Liam Hilliker of Lackawanna how plastic 3-D models come off a printing platform. 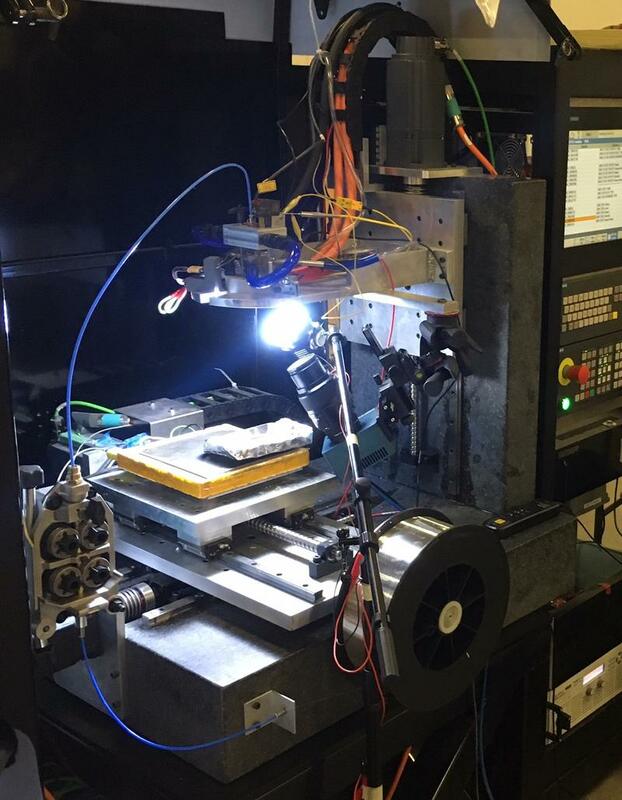 Small toys like tug boats, fidget spinner and the parts for prosthetic prototypes can all be created in this printer. 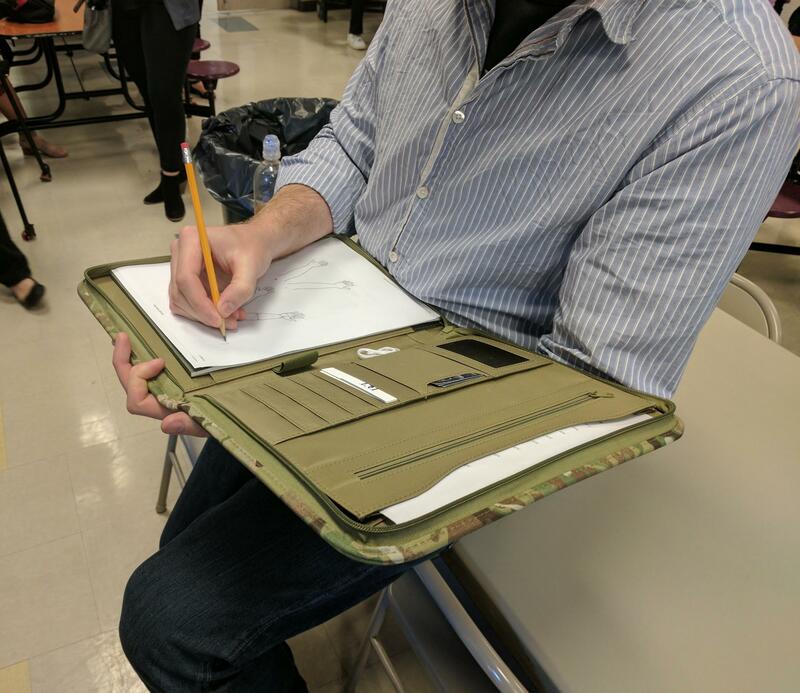 The next step in the project is what Messore described as a “full court press” to design the hands, print prototypes, and get final products to a fabricator in East Aurora – all within the next week. Three hands will be created for the local children, and one for a child in India found through a community of 3D printers called e-NABLE – who coordinate projects like these around the world. And though it’s a short-term project, the impact of doing social good is already showing in students like soon-to-be 9th grader Cameren Hunley, who has begun to consider his own life. Cameren’s not the only one. 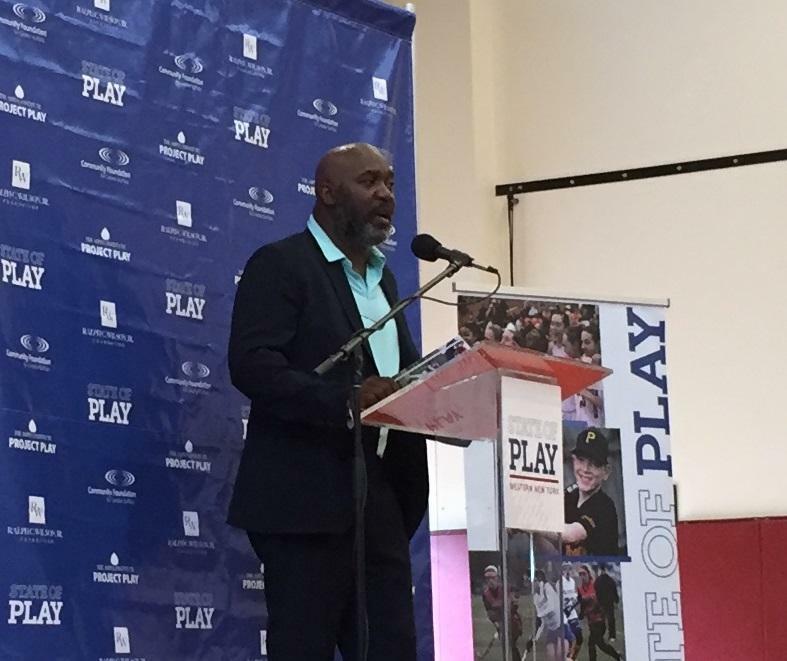 Being a parent, as well as an educator, Ed Hawkins has quickly built an emotional connection to “Hand in Hand” and the children it will help. This story was reported with assistance from WBFO’s Dominic LoVallo. 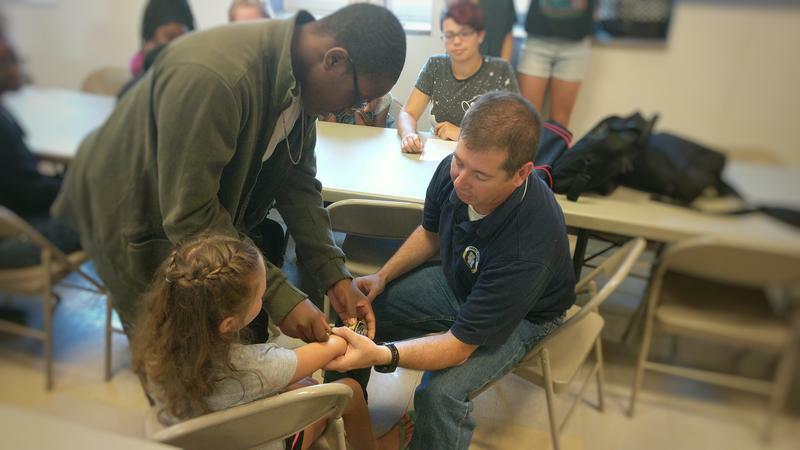 The work of high school students in a summer STEM education program came to fruition Tuesday with the presentation of 3D-printed hands for children. 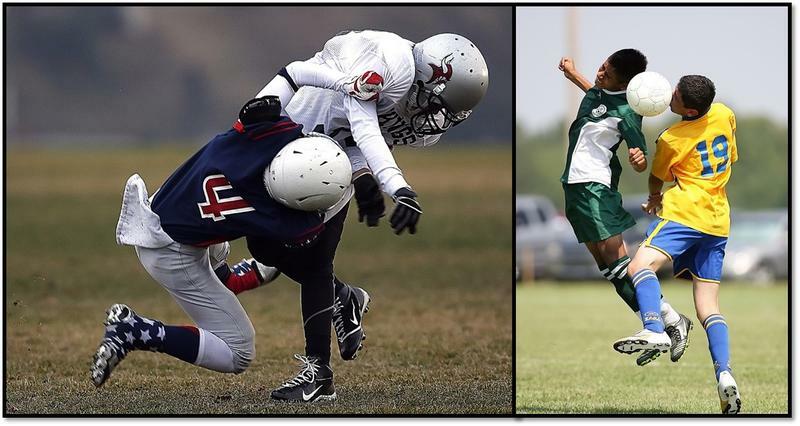 Being able to identify the symptoms of concussion in youth contact sports is not only critical to the safety of young athletes, it’s also Erie County Law. Now there’s training to back it up. Three-dimensional anatomical models are not new to the world of medicine, but they’ve certainly come a long way. 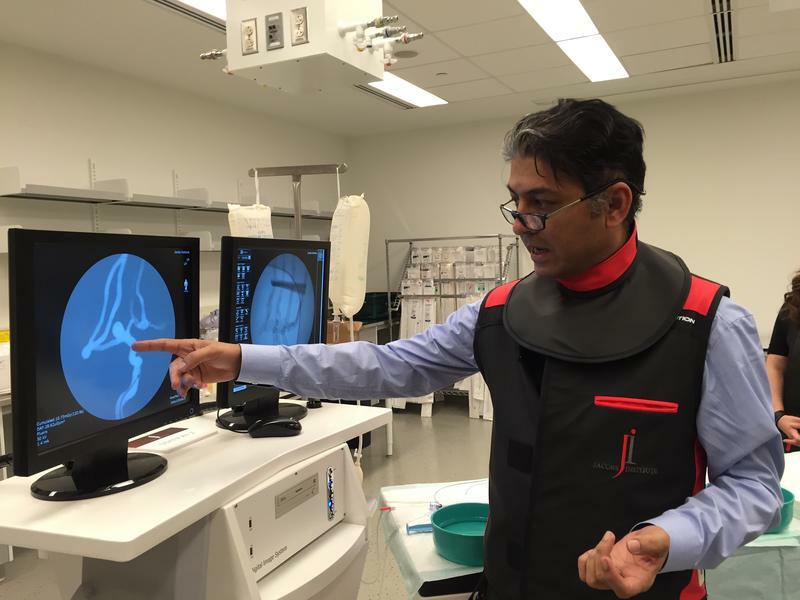 This week, a team at Buffalo’s Jacobs Institute debuted the latest 3-D printed models that are helping in the success of complex surgical procedures. A local father and son are breaking new ground in high-tech manufacturing. Scott and Zack Vader of East Amherst have developed a machine that prints metal parts.